Dungeon crawlers have been around for quite some time now. Fighting monster inside dungeon that may or may not be randomly generated filled with enemies, bosses, and some times quantities of items that fill your inventory forcing you to go back to town. One of the most recent and famous one is called Diablos lll. This would-be-review is not about it. 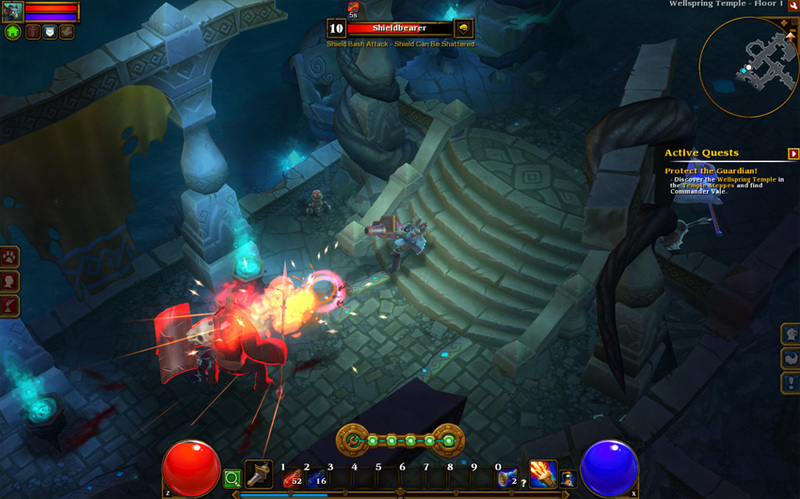 Torchlight ll, is a game with the same style and similar mechanics. Its classes have all the ability to be unique and play style can be very different from player to player. You can also hook up with friends or just play by yourself, if that is what you want. The story is quite simple, the bad guy from the previous game has somehow manage to gain power even though it had been sealed away and it is now free thanks to a dark mysterious character called the Alchemist. After escaping, heroes tried to stop him but their efforts were futile and he kept on going with his badassery of a rampage. Arriving late at the scene, you were probably hiding so don’t flatter yourself, you are sent after it in hopes that you may stop him before things get out of hand. At the end of the first act you meet a guardian which tells you that the alchemist is after the guardian to get their powers. You are asked to stop him. I guess, since I didn’t play all of it, the you will most likely just run after him, trying to stop him and always being late. Aside from the story, which seems kind of simple, the game play is just great. Clicking is everything, but knowing to manage your skills and potion can mean the difference between “I hate this boss I want to make a statue of it and break it” and “Man I am so awesome”. The game is responsive, sometimes too responsive, but always great. The style is sort of cartoony but it grows on you. I guess its because it is easy to look upon and it just looks great, epic, and convincing even if it is cartoony. The dungeons are great but what I liked the most were the open areas. These are filled with monsters and treasure. The only drawback would be that monsters in open areas do not re spawn but those in dungeon do, so you can grind if that is what you want. I felt like I never had to, at least during the first act. I hope you don’t have to in later acts. Torchlight ll has four classes to chose from but because of the way the skill trees work, I think it safe to say that there are four classes each with their own set of multiple possibilities. Its not because you chose the same class as some one else that you will play the game the same way. Each class has three different skill trees. You can chose to specialize in one, but there is nothing stopping you from using two or all three of them. But beware! You may only reset the last three skill points you have used. So think carefully about your future. Or do whatever, I’m not your mom or anything. I think the last think to be noted is the animations. It might be a dungeon crawler with cartoony graphics but the monsters animations and the animations of your character are just gorgeous. As a 3D animator, I can say that they were very pleasing to the eye, and I never felt like something just looked out of place. Can you look more epic being level 12 and at the beginning of a game? I can say that I want to buy this game and play it like there is no tomorrow. It was fun, it easyto understand, and it just had a great feeling to it. 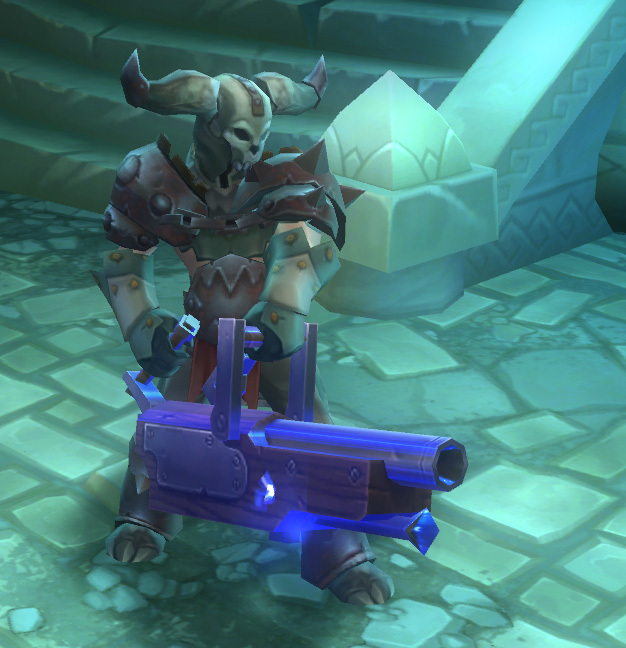 If you wanted to play an RPG of this genre I suggest you buy Torchlight ll, or at least play the free demo and see for yourself. I played it three times already, with different characters. This entry was posted in Reviews and tagged cannon, diablo 3, dungeon, engineer pc, torchlight 2. Bookmark the permalink.